Objectives: God gives to us graciously; we need to thank Him for it. How many men did Jesus heal? 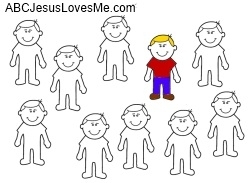 How many men thanked Jesus? How do you think Jesus felt about the men who didn't say "thank you"? Is there someone to whom you need to say "thank you"? How can you thank Jesus today? Find a box and throughout the week fill it full of things that you are thankful for. At the end of the week, have a Thankful party with a "Thank You" cake to God for all of the blessings in your life. Create a maze throughout the house with yarn (a great /y/ word). Add zigzag and wavy lines. Along the maze at different intervals, tie three bows on the yarn. Have the child walk along the yarn and stop every time he comes to a bow. Have him repeat the memory verse at each bow. Then say one thing that you are thankful for. - Color only one man on the Only One worksheet. Discuss the story. Ten little lepers got healed that day. But only one leper came back to say. Many people I will tell." Jesus asked, "Where are the nine? I healed ten bodies and made them fine." Remember God gives to all graciously. - Line stuffed animals or dolls in order by size and sort train track pieces by length. - Using a kitchen scales, weigh various items and sort the items in order of their weight. Or, using a bathroom scales weigh and order each person in your family. Week 12 focuses on the letters Y,y from the second group of "angled-line letters." Start by creating the characters using short and long craft sticks and move to writing the characters on the Angled Line Characters #2 worksheet to show the progression of the letters and numbers. Using practice phones, demonstrate how to answer the phone by saying, “Hello, this is _____.” Explain the importance of speaking clearly and with a moderate volume. Ask a relative or friend to call the child for extra practice. 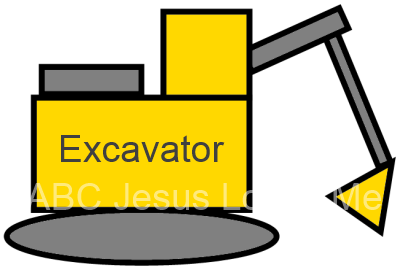 - Cut out the shapes of the Excavator worksheet and arrange to create an excavator. Glue to a piece of paper and color the pieces. - This precious book introduces children to ten different construction vehicles. Discuss the different role each vehicle plays in the overall job. Also talk about the descriptive words used and their meaning. Search for construction vehicles as you drive. - Relive the book with your own toys counting backward from 10. - Make your own construction sandbox either outdoors or in a large plastic container indoors or create your own construction zone using painter's tape to form roads. Note: Do not use masking tape, as it will leave a residue. Use pieces of painter’s tape or sidewalk chalk to make large letters on the ground. Have your child identify the letter and then let them walk, crawl, or hop around the edges. 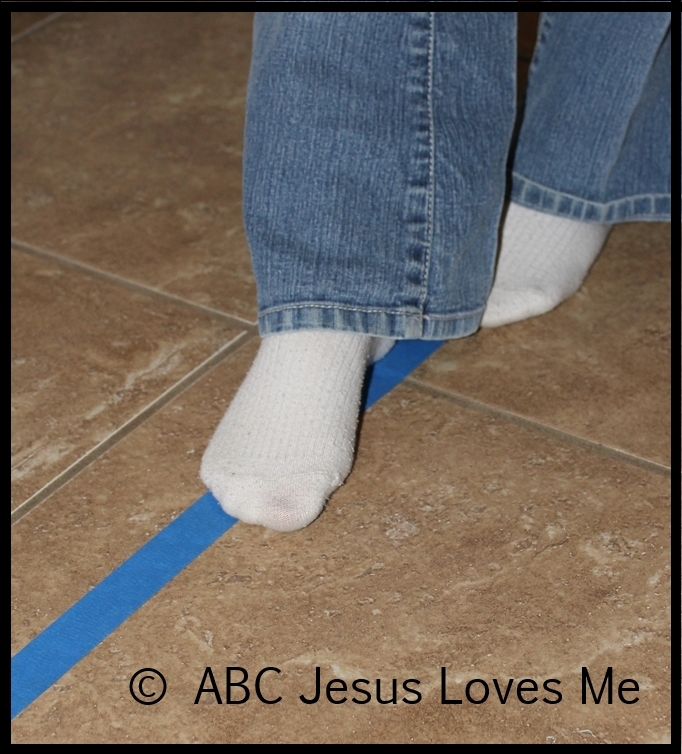 Note: Do not use masking tape on carpet, as it will leave a residue.